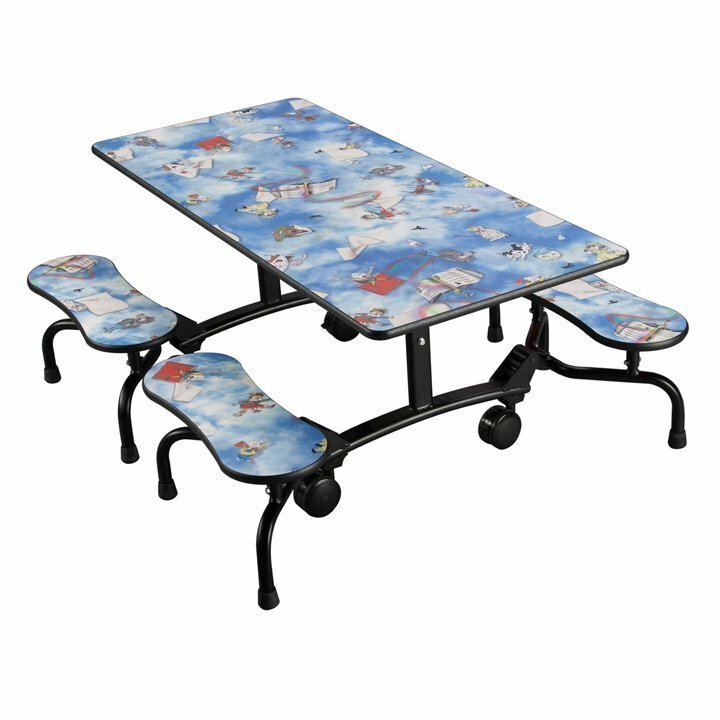 Our mobile Undergraduate lunchroom tables feature an innovative, low-profile design with stools or benches that conveniently fold up under the table for easy cleaning, transport, and compact storage. 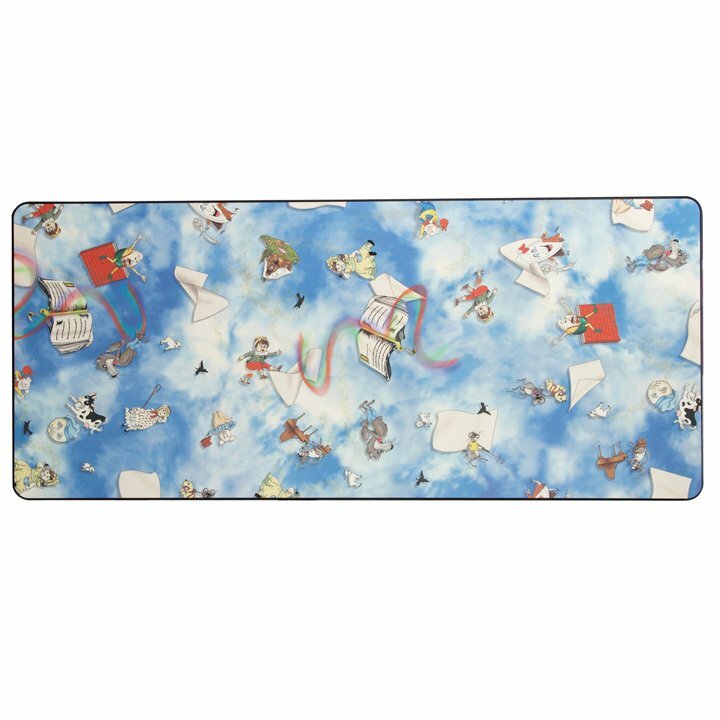 Your custodian will no longer have to take the time to move the entire table to clean up a spill or sweep under tables. 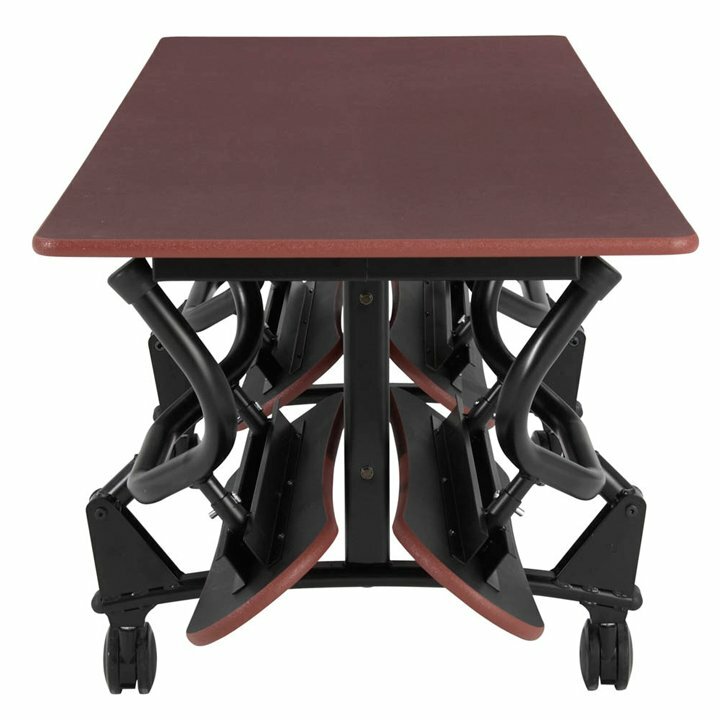 The Undergraduate table's unique fold-up seating design streamlines cleaning, saves time and demands less physical exertion, so your crews can be more productive and you can keep labor costs down. 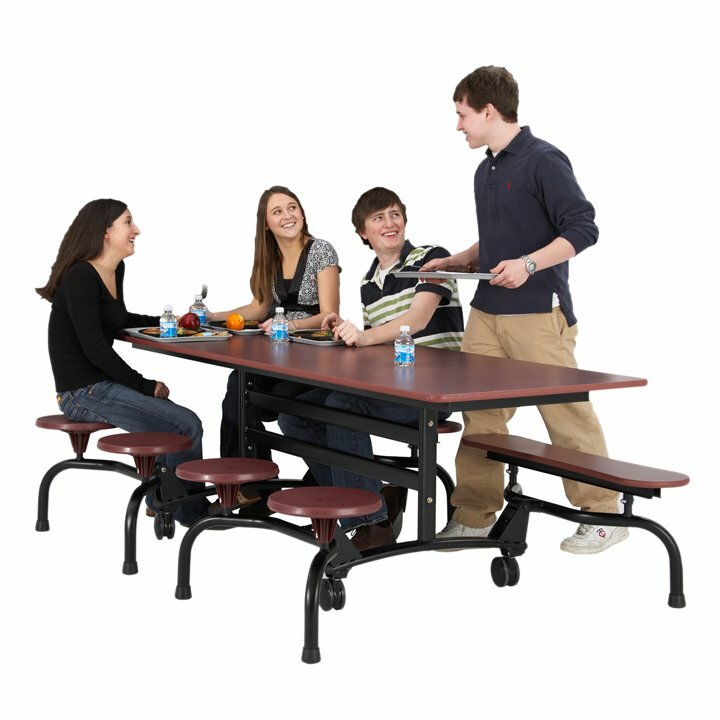 The ruggedly engineered Undergraduate table is available in 24", 27" and 29" heights to accommodate a variety of age groups. 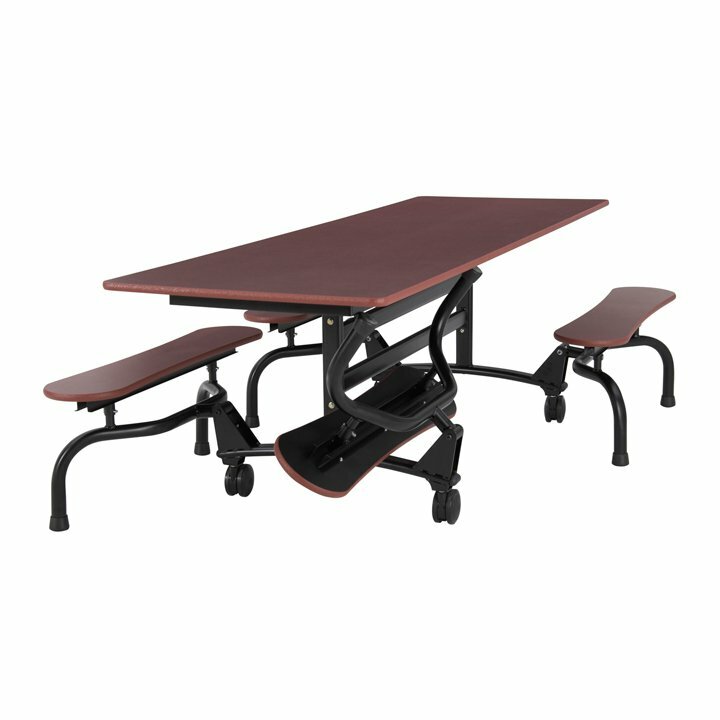 Seating options include your choice of 8 folding stools, or 4 spacious 41" benches. 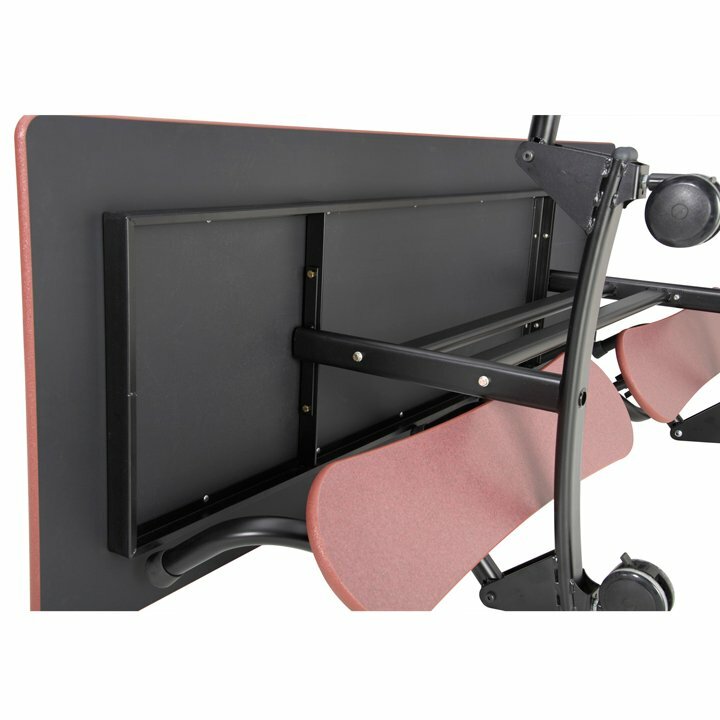 You can place units end-to-end or side-to-side and easily construct the configuration that matches your specific function — from traditional cafeteria dining to study hall table, mobile computer lab and more. 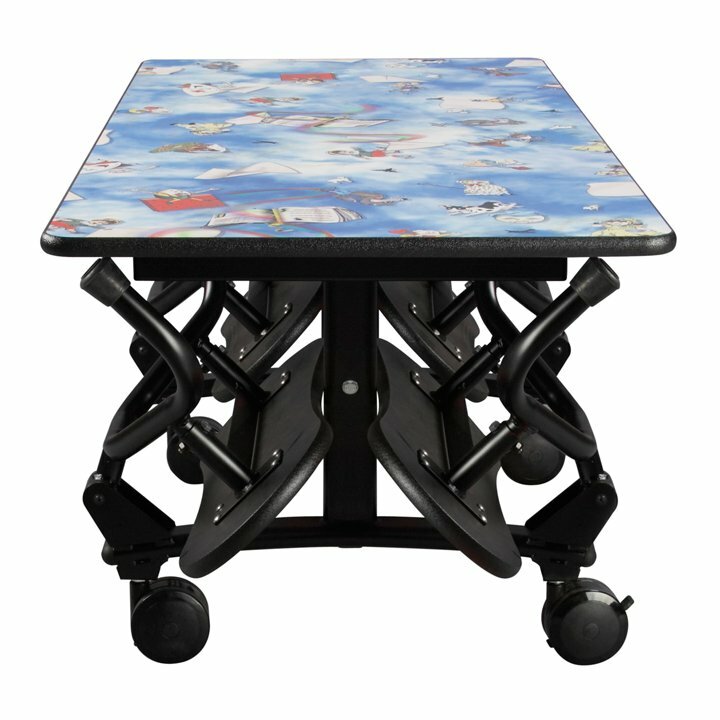 The Undergraduate's striking oval leg design not only provides a solid and stable frame for support, but also adds a stylish touch to the table for an impressive look. 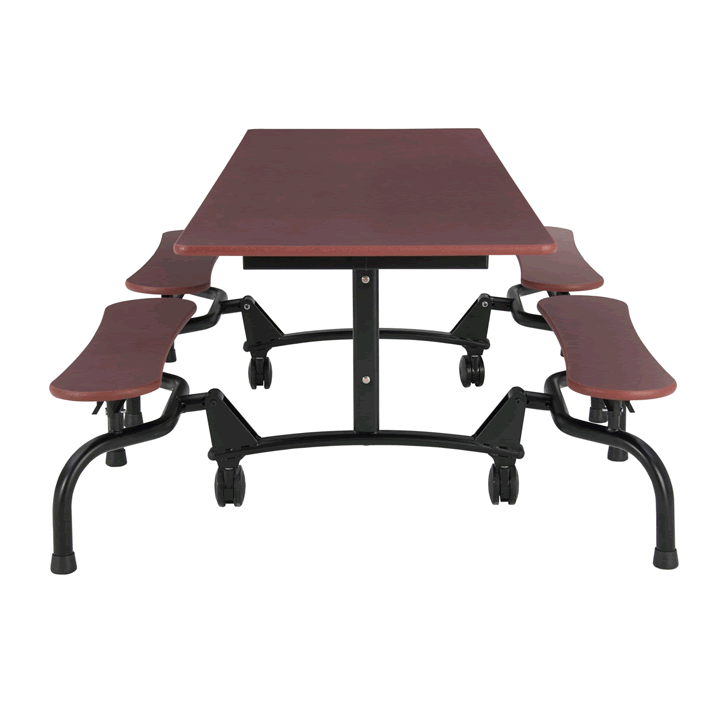 26″ W x 60″ L Rectangle Top Table – Comes in 24″ top height with 4 benches or 8 stools. 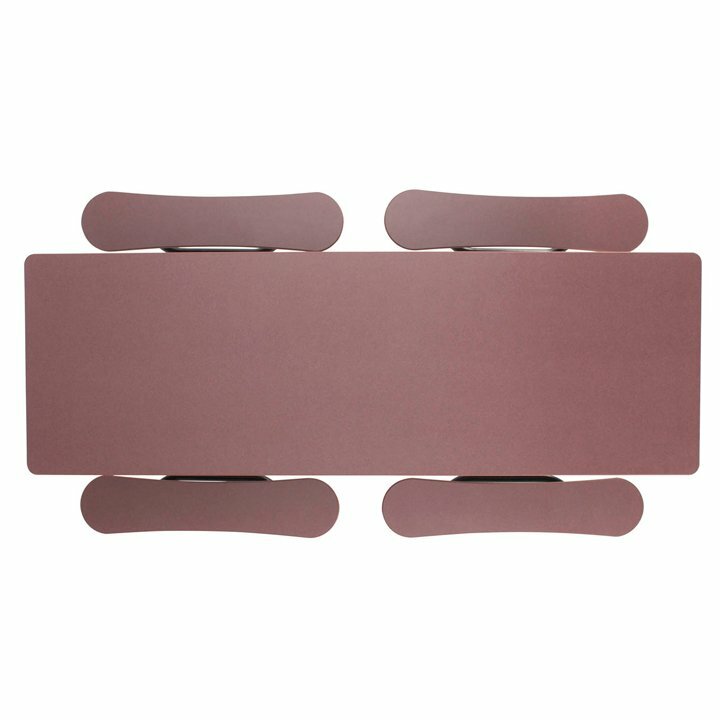 30″ W x 80″ L Rectangle Top Table – Comes in 27″ or 29″ top height with 4 benches or 8 stools. 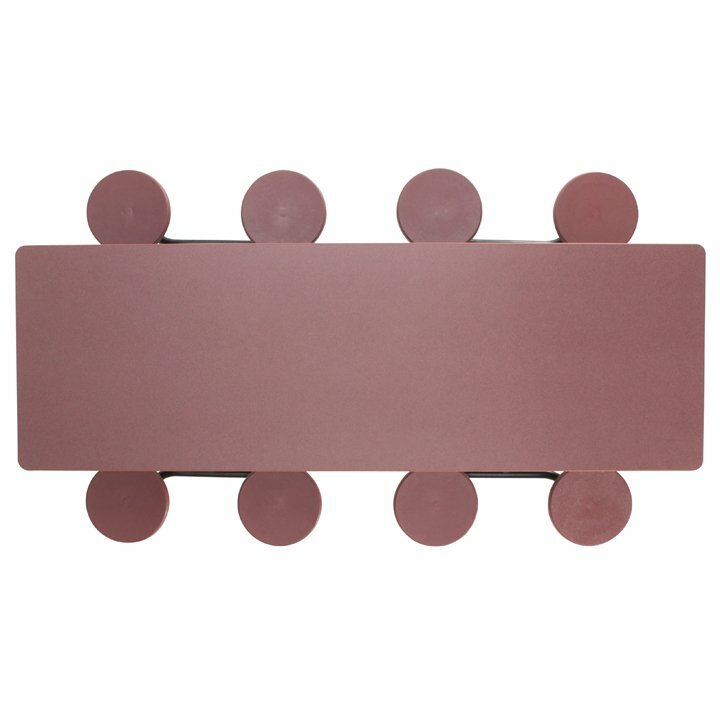 30″ W x 92″ L Rectangle Top Table – Comes in 27″ or 29″ top height with 4 benches or 8 stools.